As I have said before, my husband and I like to enjoy a cocktail together every evening after he gets home from work. Our throw-back to the 1950’s nightly tradition has me constantly trying all kinds of new drinks. This creation was absolutely delicious. 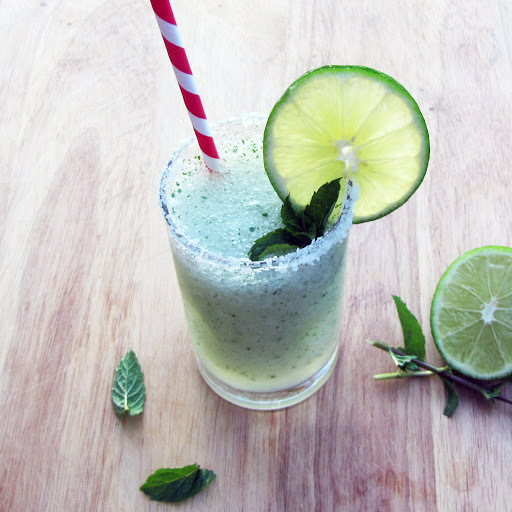 Part margarita, part mojito with fresh mint from our garden, part absolutely I-can’t-stop-drinking-this awesomeness. Directions:Throw all ingredients into a blender and blend until ice chunks are completely gone. 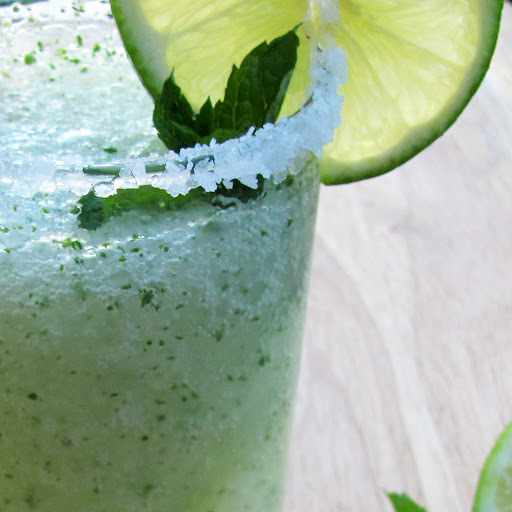 Serve in a glass with a salted rim and garnish with more fresh mint and a lime wedge.